Everyone knows that the Volcano vaporizer is the king of desktop vaporizers. Even if you’re new to vaping, you’ve heard of the Volcano and you know about its reputation. And even after being on the market for years, many people still say this is the best desktop vaporizer – period. Sure, you’ll pay a hefty price for the Volcano, but you know what? People are still using Volcanos they purchased in the early 2000s – that’s almost two decades later. The original classic Volcano is still around and kicking in many households. Then in 2007, with the release of the Volcano Digitial, Storz & Bickel revamped its flagship model to include a digital temperature display and additional buttons for more precise temperature settings and adjustment. When it comes to medical needs, it’s hard to beat the Volcano. In our review, we’ll take a complete look at this world-famous vaporizer, so you can upgrade your vape game. Most vaporizers, especially portable ones, require you to put the material almost directly onto the heat source. What happens when you place herbs directly onto a hot plate? They burn. Sure, you’ll get some vapor at first. But eventually, the material will heat beyond the point of vaporization and actually combust. Combustion leads to bad tastes and poor quality vapor. If you’re vaping for medical purposes, you do not want your material to combust. You’ll lose all the medicinal benefits the material offers. What makes the Volcano different is the fact that it gradually heats materials using hot air. The air passes through and surrounds the material. The herbs never actually touch the heat source. The air is heated to a precise temperature, so you don’t have to worry about combustion. And you’ll find that because the material is heated gradually and at just the right temperature, it lasts longer and you get better hits. Think of the Volcano as an oven and other vaporizers as a pan on a stovetop. Food cooks slowly in an oven, but takes longer to burn (provided you don’t set it to an extreme temperature). Food cooks quickly on a stovetop, but can burn just as quickly. With most vaporizers, you inhale directly from the device. But with the Volcano, the vapor is gathered into a balloon, and you inhale from the balloon. This design makes it ideal for group sessions because you can share without losing vapor quality. Of course, there are accessories, like a whip, that let you use different inhalation methods, but the balloon is the basic, standard way to vape with the Volcano. The Volcano Digital and Volcano Classic are inherently the same, meaning the internal designs are very similar. But Storz & Bickel improved on the temperature control, temperature precision and temperature ranges with the Digital. The Volcano Digital features an LED display, the ability to choose between Celsius and Fahrenheit and an automatic power down function. Both have a stainless steel design, but only the digital model has the LED display. As you can see, both models have virtually the same internal build, but the Digital gives you more precise temperature control and a digital display. For medical purposes, the Digital version is the best option simply because you can set a precise temperature to get the most out of your material. 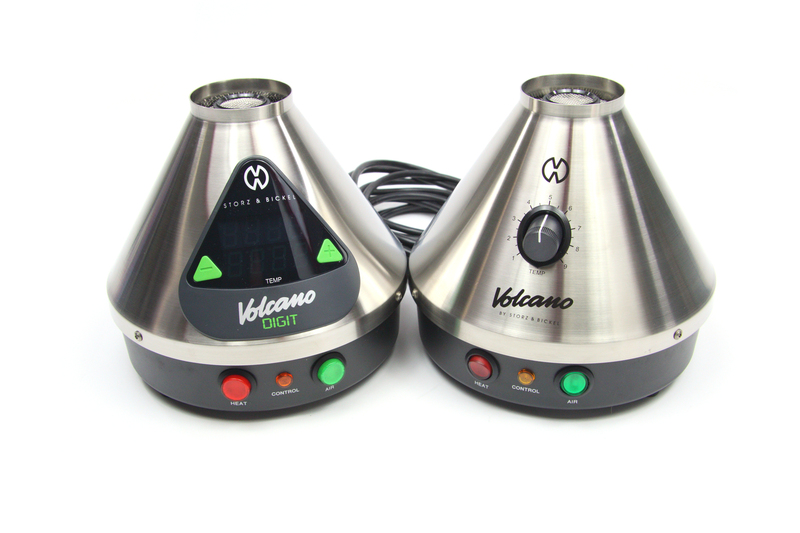 The Volcano’s stainless steel design makes it highly durable. Like I said earlier, people are still using the same Volcano they bought more than a decade ago. In the design department, the Volcano is stable and user-friendly. The characteristic pyramid (or volcano) shape of this vaporizer makes it easy to set on a table without worrying that it will tip over. It’s important to point out that this vaporizer is made with the finest German engineering, so you know it will last years as long as you take care of it. 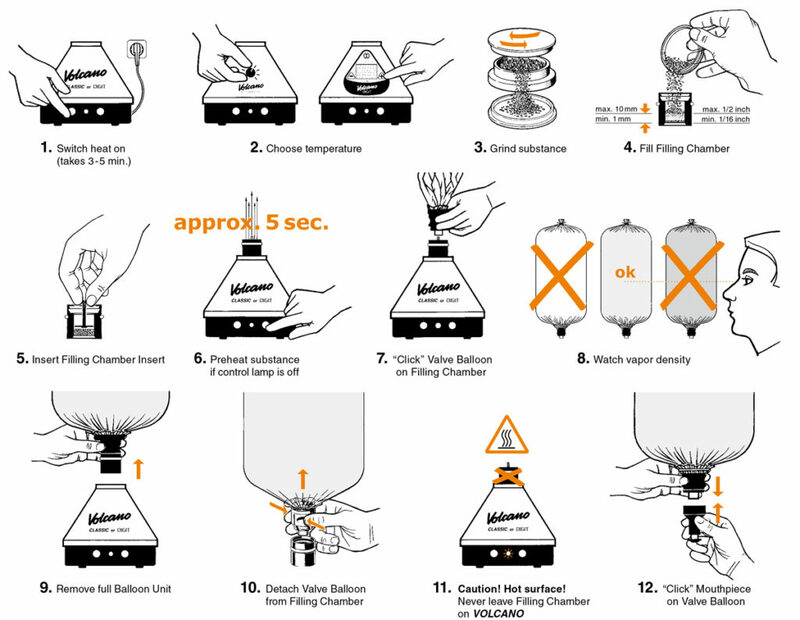 The Volcano works with two bag systems: Easy valve and Solid valve. Each one has its own advantage. The same material is used for the bags in both valve types. All materials are food-safe and odor-free. The Easy valve is exactly as it sounds: easy to use. The system has replaceable balloon and mouthpiece sets that are thrown away once they get dirty. The filling chamber is made of durable black plastic, similar to what’s found on the Crafty. The filling chamber opens with a simple counter-clockwise turn. Once opened, you can fill the bowl with your material and get started with your session. 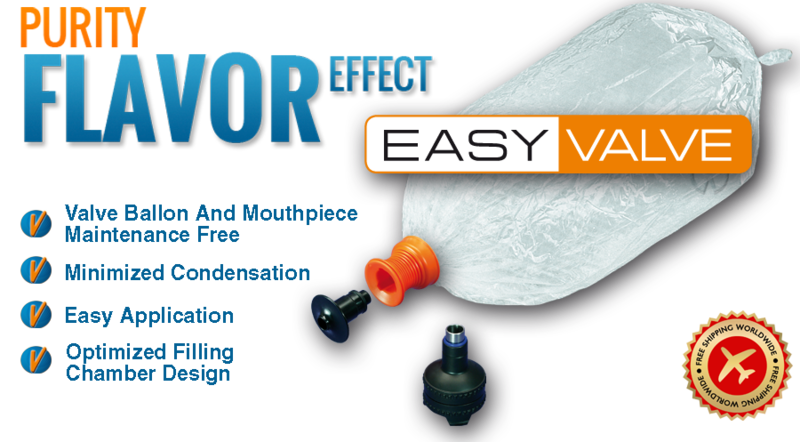 The Easy valve has fewer parts, and many people prefer the disposable features of this delivery system. The Solid valve may not be as convenient as the Easy valve, but is more durable and economical. The valve can be taken apart and cleaned, so you can continue using it. And the bags can be replaced to ensure that you enjoy the purest vapor. The filling chamber is made of temperature-resistant plastic similar to what’s found with the Easy valve. Whether you want something disposable and easy to use or something economical, the Volcano offers something for everyone. While the Volcano Digital gives you even more precise control over the oven temperature, the Volcano Classic still offers pretty precise controls – even with a rotary dial. The Classic has nine heat levels, with a temperature range of 266F to 439F. Many people are perfectly happy with the Classic’s temperature controls, and find that a degree or two difference really doesn’t affect vapor quality by much. With the Volcano Digital, the temperature control is even more precise – to the degree. An LCD display allows you to see and to adjust the temperature as you see fit. Simply press the “+” and “-” buttons next to the LCD display to adjust the temperature. The Digital version has a bit wider of a temperature range of 104F to 446F. If you want to vaporize essential oils or herbs, you may like having the option to go even lower than the Classic’s 266F. When it comes to maintenance, the Volcano’s upkeep is virtually non-existent. The vaporizer itself requires very little maintenance. Cleaning is the only real upkeep you need to be concerned about. There is an air filter built into the vaporizer, which needs to be changed about once every few years. The amount of cleaning you have to do will largely depend on the type of valve you choose. The Easy valve allows for – well – the easiest maintenance. When the bags and mouthpieces are dirty, you simply throw them out. The Solid valve will require a little more effort. The only disposable aspect of this system is the bags. The filling chamber and mouthpiece can both be taken apart, serviced and cleaned so that you can keep using it. That said, a little isopropyl alcohol and soapy water is all you need to keep these pieces clean. If you’re using the Crafty and you’re vaporizing for medical purposes, you may be wondering why you would upgrade to the Volcano. Why pay more for something that the device you already have can do? The Volcano is more efficient, more precise and more durable than the Crafty. The vapor quality and potency is higher, and maintenance is incredibly simple. 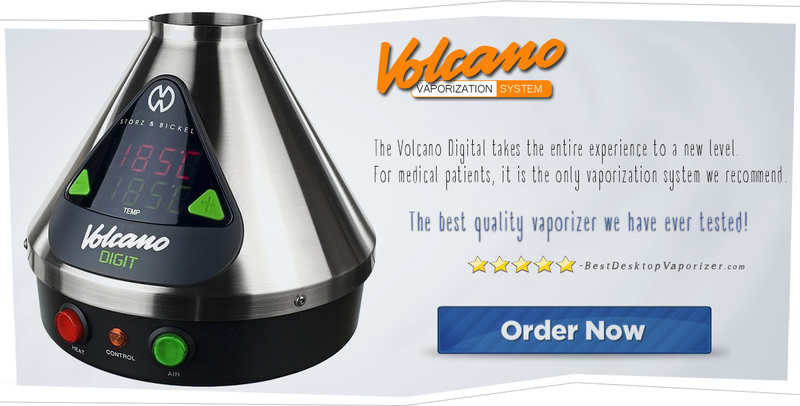 Can you buy the Volcano vaporizer on Amazon? No. And if you do find a Volcano for sale on Amazon, it’s probably a knock-off. 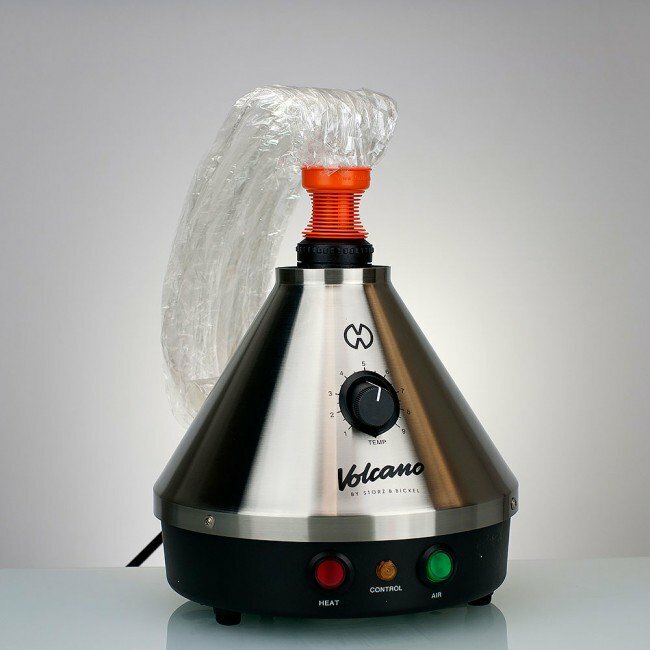 Don’t waste your money on a chance that you don’t have a real Volcano vaporizer. The only place to buy a real, authentic Volcano is to buy it from the official site. 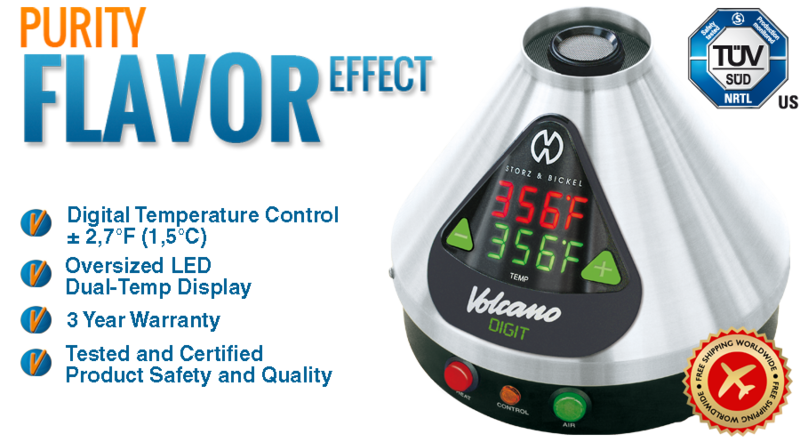 If you act soon, you take advantage of a Volcano vaporizer sale, and get this vaporizer for less. Click here to get upgrade your vape game with the Volcano.